There are many different elements or aspects of the wedding celebrations that symbolise the big day but for many couples, it is all about the cake. This may be because they love sweet treats but there is also a lot of work and effort put into the cake. People only see the finished article, drawing admiring glances and positive comments, but an awful lot of work, effort and the right blend of ingredients go into making the ideal wedding cake, and in this sense, it is quite like a marriage. The wedding cake itself is important but it is what it symbolises and this laser cut wedding stationery manages to capture the fun, excitement and sweet nature of wedding cake and the wedding day itself. The concept is simple but of course, the execution is a lot more intricate. The wedding invitation comes with a laser cut wedding cake on the front and the name of the happy couple above the cake. All of the necessary information is contained within the card, and there are various stationery options to provide more information and guidance to guests. 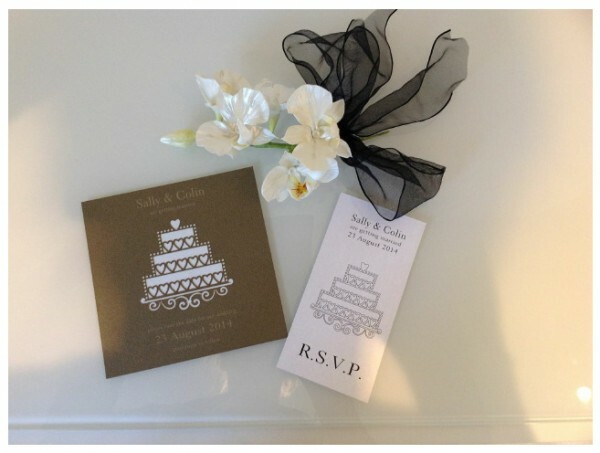 There is an option to further customise the invitation with a jewel but many couples find that the well-cut cake and their own name is all they need to spread the word about the special occasion. It is possible to choose the colour of the card so if any bride and groom has a colour theme for their wedding, they’ll be able to create a card that ties in perfectly with the big day, order from Infinity.